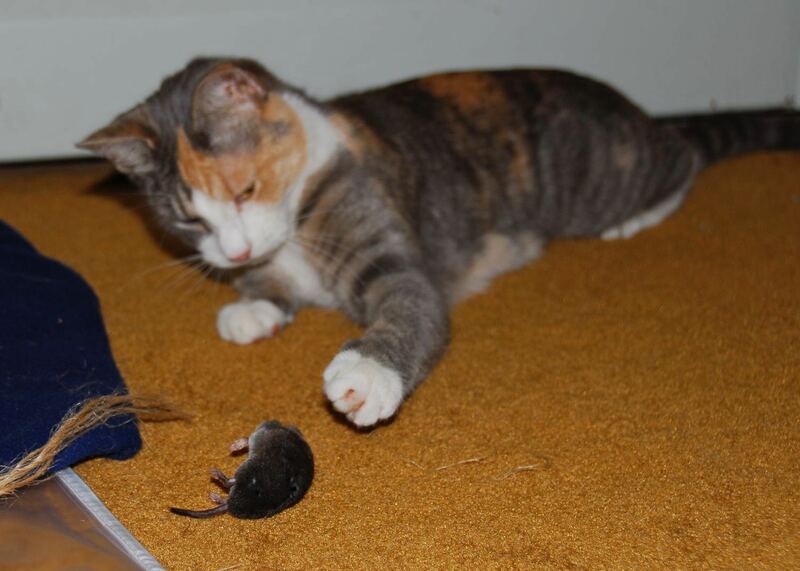 Posted on July 28, 2009 February 22, 2017 by Ian C.
Chloe has a new skill, and she’s improving at it … this morning she brought back a second (dead) Vole, definitely a gift for us but also a good toy for her! Margaret says that after I’d gone to work, she brought home another animal – still alive! She had huge fun chasing it around the bedroom (much to Margaret’s disappointment).